We are quite fascinated by Charles and Ray Eames approach to design and their “good life” concept of celebrating the beauty of everyday objects as well as precious ones. 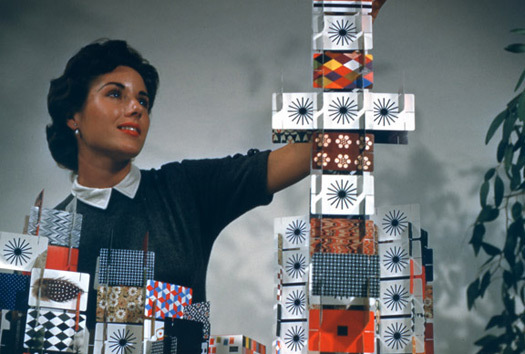 Their House of Cards features images taken from the Eames own collection of what they called the “good stuff”, that celebrate “familiar and nostalgic objects from the animal, vegetable, and mineral kingdoms”. We believe that these cards show that good design embraces both beauty and utility. 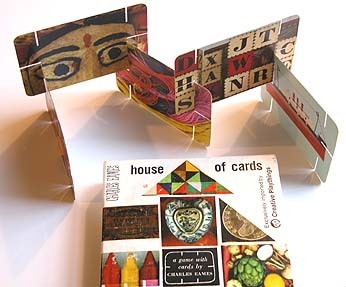 The other day we were talking about the Eames House of Cards and how each card has slots which allow the cards to be joined into a myriad of shapes and thinking of ways to use this idea to develop some interesting objects of our own design. 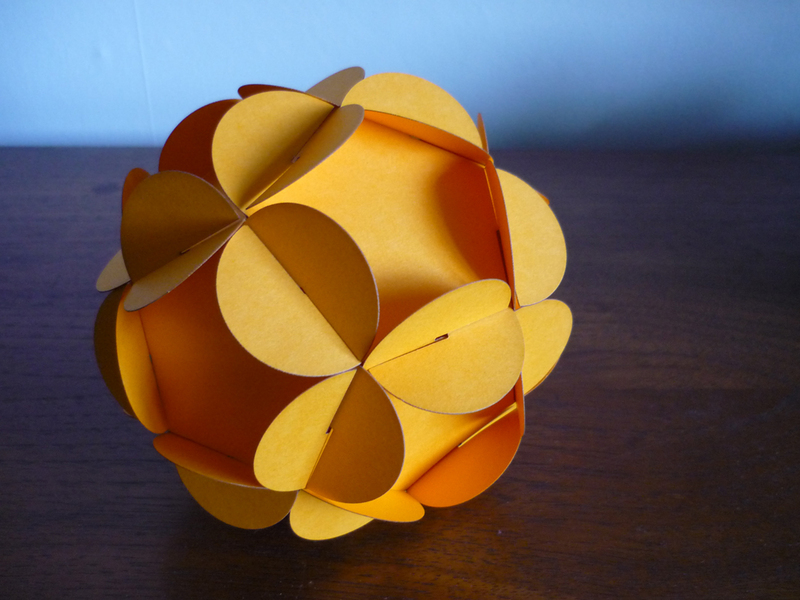 These paperballs are made from 12 slotted panels that fit together to form a sphere and the slots are used to join together the panels with no gluing. To construct the paper ball join panels, connecting the slots together so that every slot is connected to another on the adjacent panel. In all it takes twelve panels to construct the ball. When making we imagined the ball as two end panels, and the remaining parts making two “rows” of five panels each that resemble a bowl. Simply keeping on, connecting the panels using the slots until the ball is complete, the last slot became the trickiest as you have to bend the paper a little to interlock the slots. Job done. We made these using cardstock, and thick paper (160-210 gsm), but for experimentation we just cut up some cardboard boxes from the kitchen. They should work with standard copier paper, they just may be a bit “floppy”. We tried some experiments on sugar paper and the structures were still rigid. We cut the parts for the paper balls from files we created in Illustrator using a lasercutter that we have access to, but if you print out the templates from the How About Orange blog they could be easily cut out by hand. 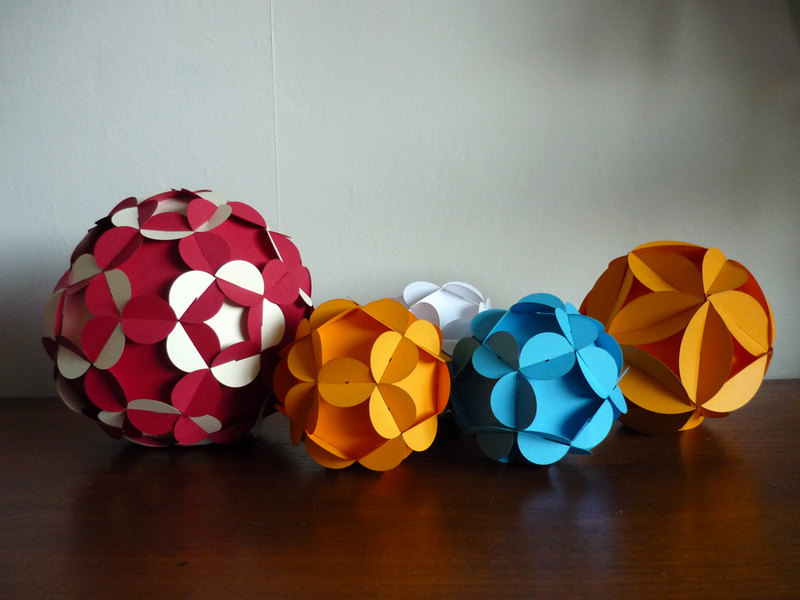 When we’d completed some of these paper balls we found that they were surprisingly rigid and strong and they reminded us of the geodesic dome built by visionary architect R.Buckminster Fuller in 1967 for the world’s fair in Montreal. As structures, these domes are composed of complex patterns of triangles that distribute stress and enclose space without any other internal support. 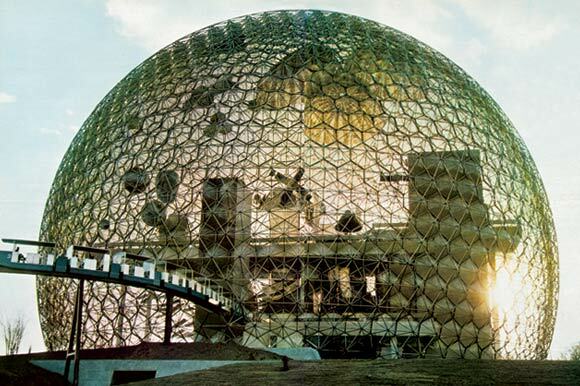 More recently, the discovery of buckminsterfullerenes, or buckyballs, has reduced the geodesic sphere down to the molecular level. We thought we’d experiment by making a buckyball that is the structure of a carbon molecule known as C60 formed of alternating pentagons and hexagons. Of course, the soccer ball that we find in everyday life is perhaps the best-known example of this form known as a truncated icosahedron. 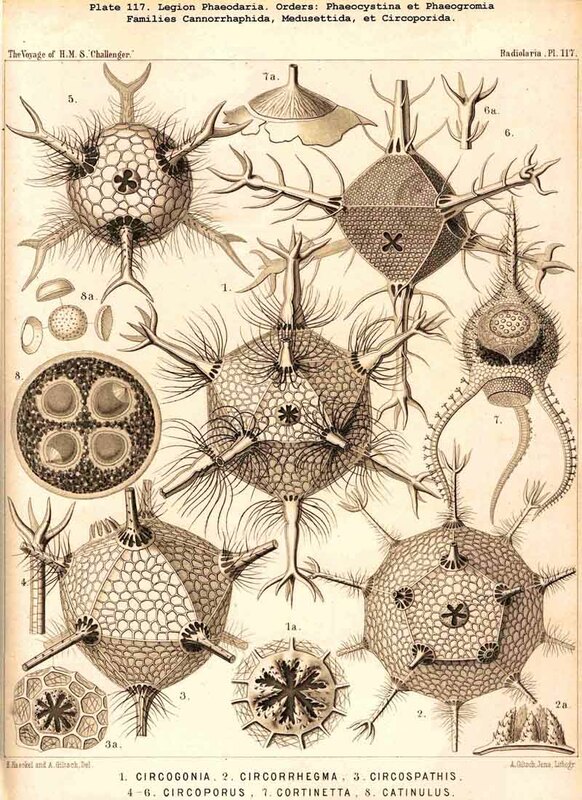 We then went onto construct a model of a icosahedron with 20 identical equilateral triangular faces that Ernst Haeckel saw in fossil records of skeletons of microscopic sealife known as radiolarians. Were not mathematicians, but the geometry behind the design really occupied our attention. Looking at these interlocking polyhedrons we saw a fascinating correlation with nature’s basic design principles. Today fullerenes show up in everything from ultra-light, ultra-strong bicycle frames and tennis rackets to fabrics that are soft and breathable yet repeal water and stains. But we’d have to say that they make great desk toys, too. 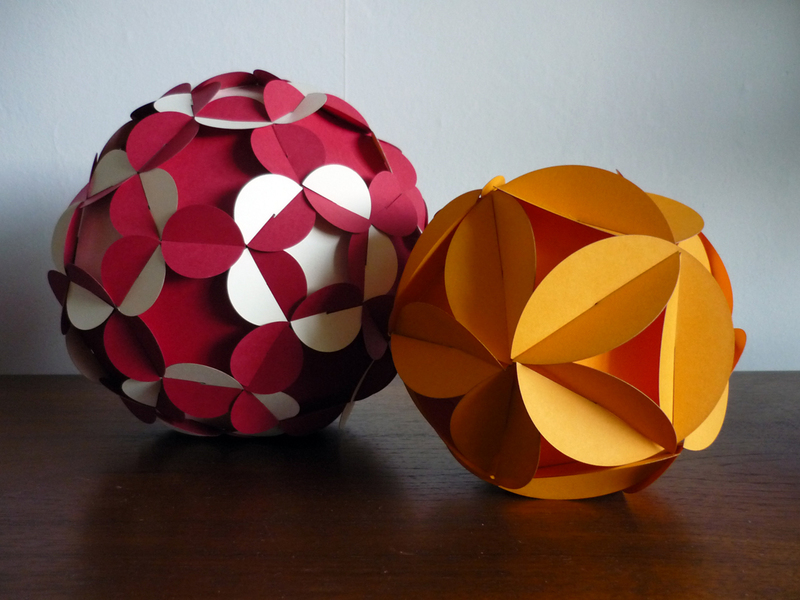 We’ll keep developing more buckyball ideas and of ways to use them and keep you posted. Posted by Brimstones. We appreciate your feedback, please feel free to comment.